Great for families and the retired looking for peace and quite. I am writing this review on behalf of my mother who has been coming here for 16 years twice a year in November and March, for a total of 12 weeks. I am currently visiting and think the apartments and complex is fantastic. The apartments are all self catering but set in a beautiful complex with very nice swimming pool area and tennis courts. There is no onsite food or entertainment, but the town is a very short walk away offering fantastic food and a very pleasant and safe environment with good shopping and Nightlife if that’s what you’re looking for. We are a family of 4 (2 teenagers) and we stayed in Villa 26C in June 2012. We booked directly through the owners and had no problems. The villa has been renovated in recent years and is in perfect condition. The villa consists of 2 bedrooms, 1 bathroom and an open plan living/dining/kitchen area. The staff on reception were very helpful and all were English-speaking. Wi-Fi is available there were no connection problems at the villa. The villa also has satellite TV, with a wide variety of Irish and English channels. A big selection of books (& board games) are provided - which we added to when we were leaving. There is a maid service, which was supposed to be once a week, but we actually had the service 3 times during our two week stay (perhaps helped by the €5 tip on her first visit). The location of the villa is ideal, with all restaurants, bars, beaches within walking distance. If you are looking for on-site entertainment, this is not the place for you, as it doesn't have a bar, but it suited us to have our entertainment off-site and to come back to a quiet villa, with no loud music late at night. The pool is sea-water, which we loved, with ample sun loungers/parasols and a lifeguard on duty all day. 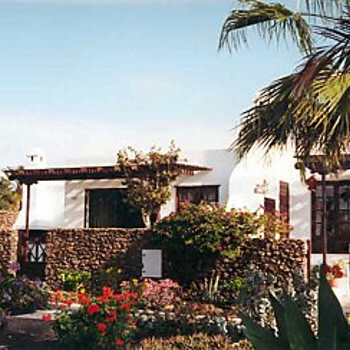 If we decide to return to Playa Blanca, we would hope to stay at Casas del Sol again. To ensure impartiality, we do not accept reviews posted from the country the accommodation is located in. This is to ensure our members are not misled by owners posing as satisfied customers.